A dream team that includes CholestaCare, paired with Fibermucil; two products that work in combined effort to support our cardiovascular health. 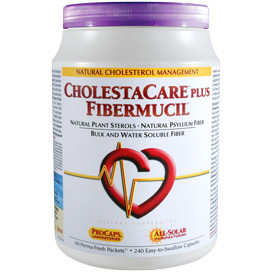 CholestaCare provides our beneficial phytosterol blend to help reduce total and LDL cholesterol levels, while Fibermucil provides a 100% pure, encapsulated Psyllium Husk powder and Lactobacillus sporogenes, which help to maintain a balance of beneficial flora in your intestines. CHOLESTACARE plus FIBERMUCIL is specifically formulated to safely and naturally lower Total and LDL Cholesterol using two all-natural active ingredients approved by the US Government for the reduction of cholesterol and heart disease risk. The active ingredients in both CHOLESTACARE plus FIBERMUCIL are supported by decades of extensive clinical studies, which have unequivocally proven their ability to support heart health by safely lowering Total Cholesterol and LDL Cholesterol (the "bad" cholesterol). 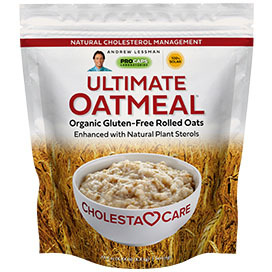 The research on CHOLESTACARE is so convincing that its active ingredient is the first natural ingredient actually recognized by the US Food and Drug Administration (FDA) to lower your Total and LDL Cholesterol. By adding FIBERMUCIL to CHOLESTACARE we increase its cholesterol-lowering power with a natural ingredient that is supported by clinical studies going back over 50 years. The combination of CHOLESTACARE and FIBERMUCIL delivers heart health and cholesterol-lowering benefits far greater than either can provide on their own. CHOLESTACARE plus FIBERMUCIL provides a natural means of lowering cholesterol that is entirely derived from edible plants. CHOLESTACARE is our specially balanced blend of plant sterols, while FIBERMUCIL is our all-natural, 100% pure, encapsulated Psyllium Husk powder from the high-fiber Indian plant Plantago ovata. 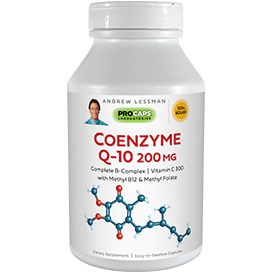 Beyond centuries of safely realized health benefits, both of these active ingredients are now FDA-approved to support heart health by lowering Total and LDL Cholesterol. In fact, according to the US Food and Drug Administration, consuming at least 400 mg per serving of CHOLESTACARE twice daily with meals for a daily total intake of at least 800 mg of CHOLESTACARE, as part of a diet low in saturated fat and cholesterol, may reduce the risk of heart disease. One packet of CHOLESTACARE plus FIBERMUCIL provides 800 mg of this FDA-approved active ingredient. Each packet contains the optimum combination of water-soluble fiber and plant sterols to naturally reduce Total and LDL Cholesterol levels. 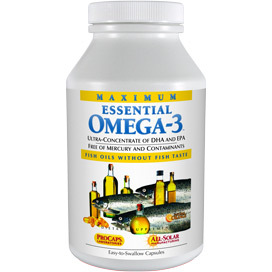 Consume the contents of one packet daily with the largest meal of the day. Always consume with adequate fluid. CHOLESTACARE plus FIBERMUCIL is intended to be taken immediately before, during or within 60 minutes of finishing eating. 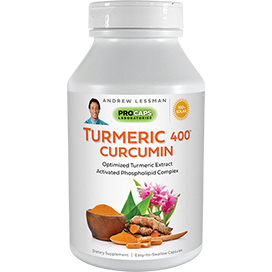 This product is most effective as part of a healthy diet low in saturated fat and cholesterol and an active lifestyle, along with one of andrew lessman's multi-vitamin-mineral formulas. NOTICE All fiber products should be taken with a full glass of liquid. Consuming any fiber product without adequate fluid may cause choking. Do not use this or any fiber product if you have difficulty swallowing. If you feel abdominal pain or unexpected gastrointestinal discomfort when using this product, discontinue use and consult a physician. Initially, when using this product, evacuations may not occur until the second day, hence you may experience a temporary feeling of fullness. As with any grain product, inhaled or ingested Psyllium Husk may cause allergic reactions in some individuals. If you are taking prescription medicine by mouth, take this product 2 hours before or 2 hours after the prescribed medicine. I HAD A CHOLESTEROL CHECK AND MY LEVELS WERE HIGH. THE DOCTOR WANTED TO PUT ME ON MEDICATION. I REFUSED. 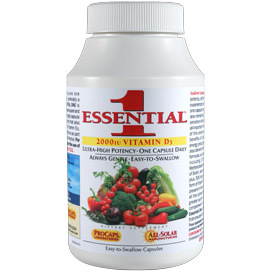 I STARTED TAKING THIS PRODUCT AND DID NOT MAKE ANY OTHER LIFESTYLE CHANGES. I TOOK THIS PRODUCT AND RECHECKED MY LEVELS IN ONE YEAR AND THEY WERE SIGNIFICANTLY LOWER AND THE DOCTOR SAID NO MEDICATION WAS NEEDED. TAKING THIS PRODUCT WAS THE ONLY CHANGE I MADE FOR THE ENTIRE YEAR. I DO WANT TO SAY I DO EAT PRETTY HEALTHY AND DO ONE HOUR OF CARDIO AND ONE HOUR OF TONING/EXCERCISES THREE TIMES A WEEK. I HAVE BEEN DOING THIS FOR OVER 5 YEARS. HIGH CHOLESTEROL RUNS IN MY FAMILY. I HAVE TO GIVE CREDIT TO THE CHOLESTACARE PLUS FIBERMUCIL FOR MY PROGRESS. I CAN'T WAIT TILL NEXT YEAR. I WILL POST MY RESULTS AGAIN. I WILL CONTINUE TAKING THE PRODUCT FOR THE REST OF MY LIFE. MY AGE IS 50. Other Ingredients: Gelatin capsule, Vegetable Magnesium Stearate, and Silicon Dioxide.